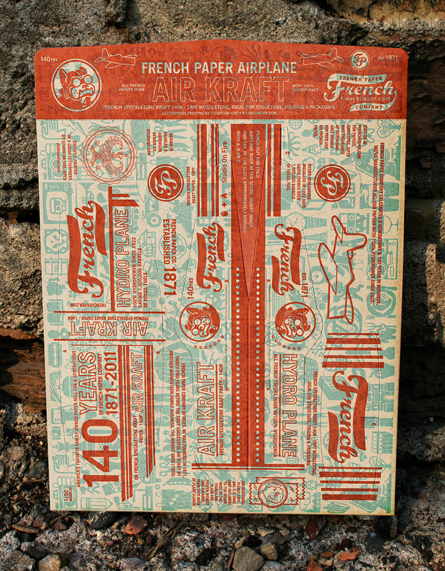 French Paper’s "Air Kraft" gets it's name from the heavy-weight Speckletone Kraft paper it’s constructed with. 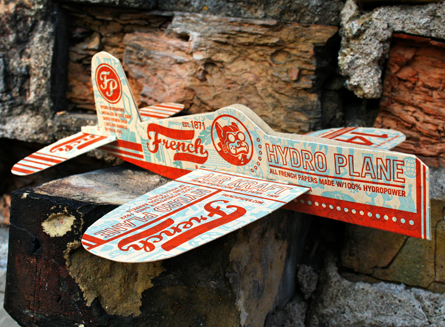 We also call it the "Hydro Plane" because all French papers are manufactured with 100% renewable hydro-electric power. This promotion is beautifully printed by Studio on Fire, which means that some some of this fleet will never fly, instead they'll be preserved as fine pieces of printed ephemera!